Over four years after the attacks of September 11th and "Ground Zero" is still a giant hole in the middle of downtown Manhattan. You can see the huge ramp that construction trucks take to get in and out of the construction site. 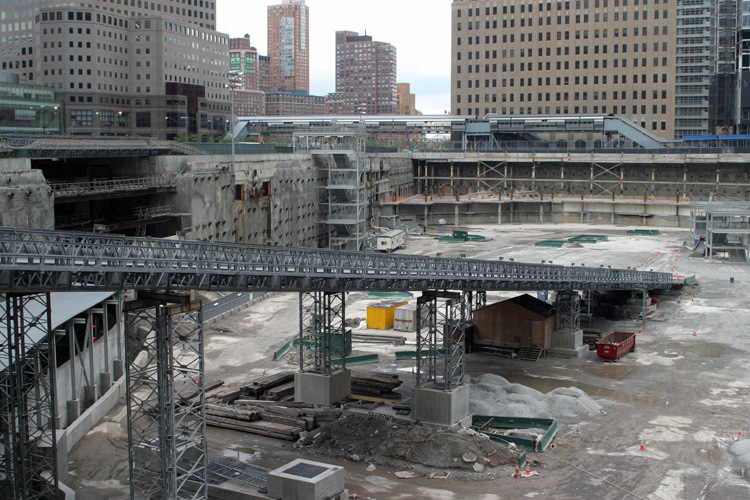 October 28, 2005 - Over four years after the attacks of September 11th and "Ground Zero" is still a giant hole in the middle of downtown Manhattan. You can see the huge ramp that construction trucks take to get in and out of the construction site.